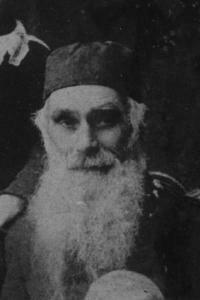 Abram Lewek Zielinski also known as Abraham Yehuda Zielinski was born in 1815. His family lived in Przedecz, Poland. He married Ryfka (Chaja Ruchla) Zolna. They were the founders of a very large family of Zielinskis born to their two sons. The elder son was Szai (Chaier/Shaya) Zielinski (1839 - 1925). The younger son was Azriel Zielinski (1845-1932). Szai and his children migrated to England. Most of Azriel's children stayed in Poland. Many of them and their families were victims of the Holocaust. Most of those who went to London changed the spelling of their surname to Zelinsky. See photographs at the foot of this page. * Szai/Shaya/Chaier/Yeshuya - These are all forms of the same name - (probably versions of Isaiah rather than Joshua, however, Szai Zielinski was sometimes known in England as Simon). 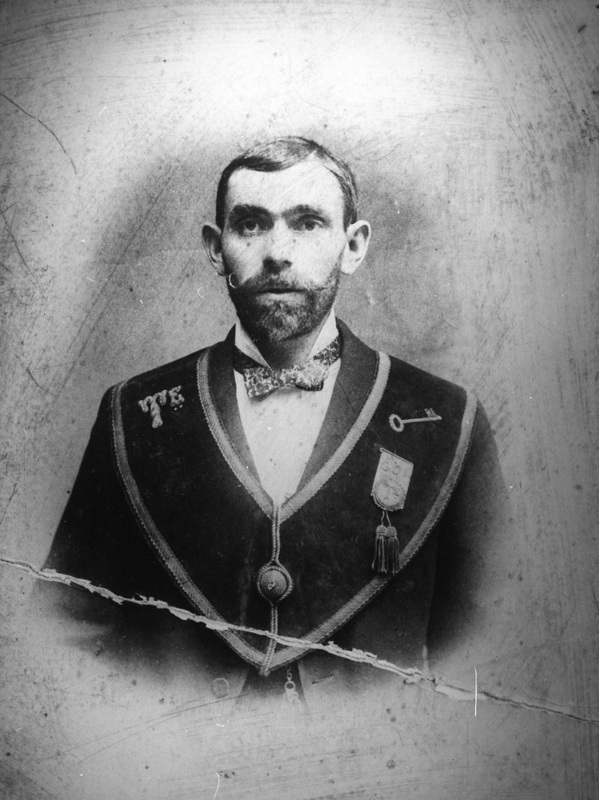 Israel Zelinsky wearing the collar of the Grand Order of Israel Friendly Society 1904. His first wife Betsy died in 1906 giving birth to a daughter who also did not survive. Betsy and Israel had four children who lived. He remarried Eva Cohen shortly after Betsy's death. They had a further five children two of whom did not live beyond infancy. 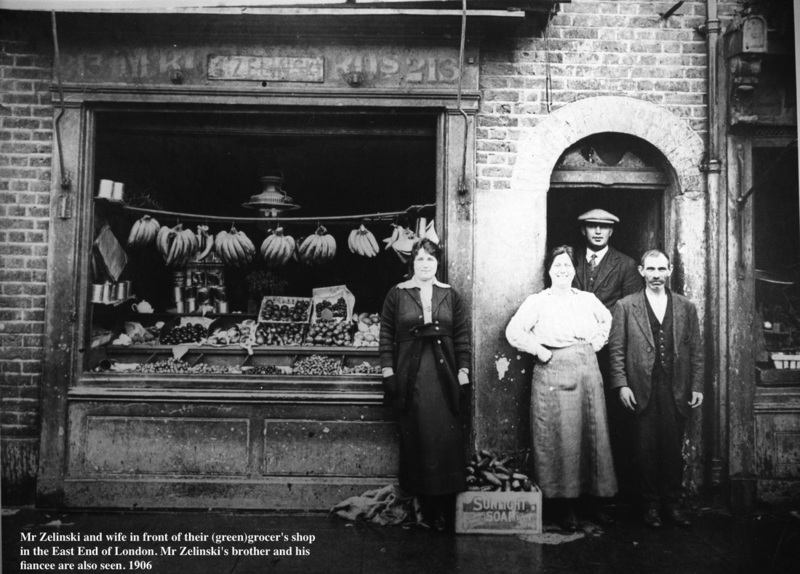 Israel Zelinsky and his second wife Eva in front of their greengrocer shop in Oxford Street, Stepney. His brother Morris is behind and Morris's fiancee is on the left. Taken shortly after Israel married Eva in 1906. A few years later Israel had become more prosperous, and moved to another shop in Willseden, N.London. Author's note: Szai Zielinski (pictured at the top of this page) is my great great grandfather, Israel Zelinsky, his son, my great great uncle.